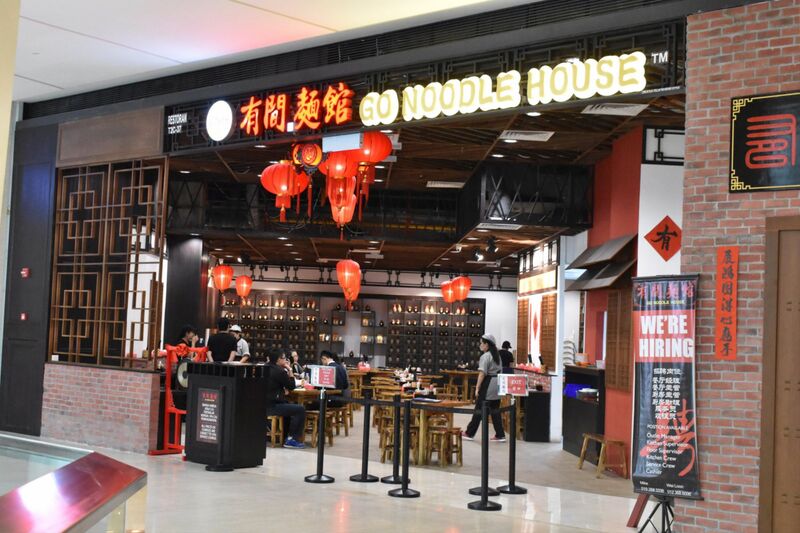 Today’s post is a review of Go Noodle House, a popular noodle joint you can find in Kuala Lumpur. They recently opened a branch in Sky Avenue, Genting Highlands. Since I was there on a trip, why not check it out? 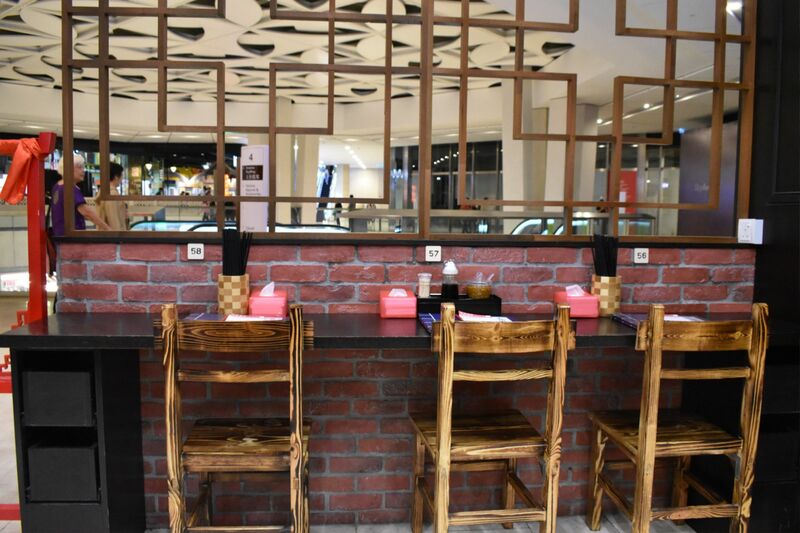 It’s located near the Malaysian Food Street, which is situated on one of the highest floors in Sky Avenue. The entrance of Go Noodle House. Looks like the “olden days” kinda shop. This photo was taken in the evening, when there were less customers around. I went to eat at night and it was pretty crowded. Interesting seats for those who come alone. They have sockets in case you want to charge your phone and etc. The chairs/stools here are pretty small though. Whichever new restaurant I go to, I like to try their milk tea if they have one. 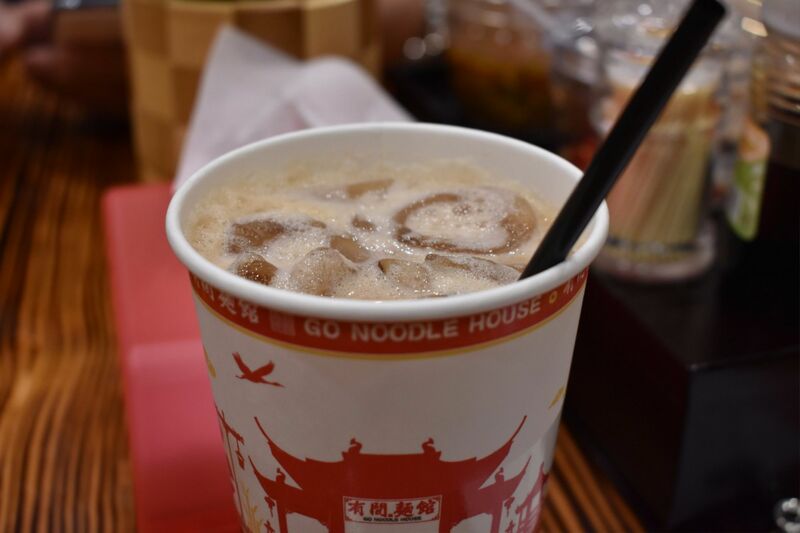 A great milk tea attracts me back to a restaurant. Theirs was okay I guess. 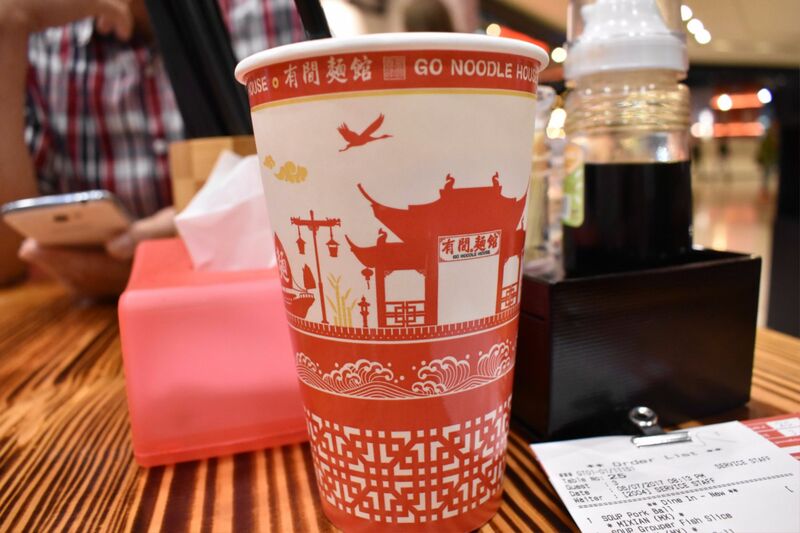 Love the cup design though. Here’s the featured dish. The one that is recommended on the front page of the menu. 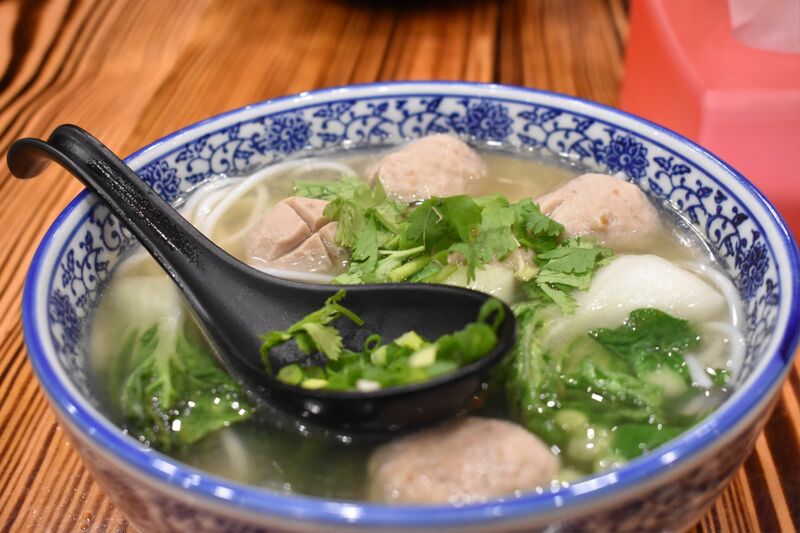 Noodles with meatballs in soup. Their soup is special here because they use a little bit of cooking wine, which makes the soup flavorful. This one is their noodles with fish meat. It looks really similar and probably tastes the same as well. 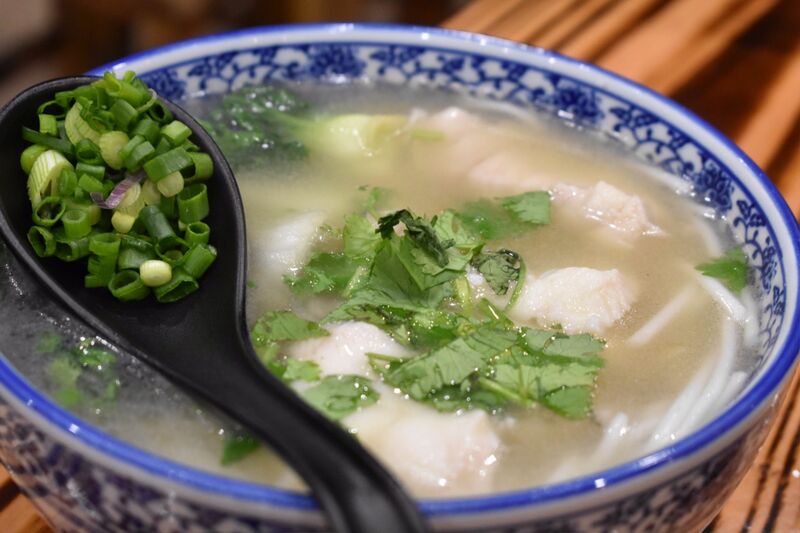 This is their fishball soup, without the noodles. 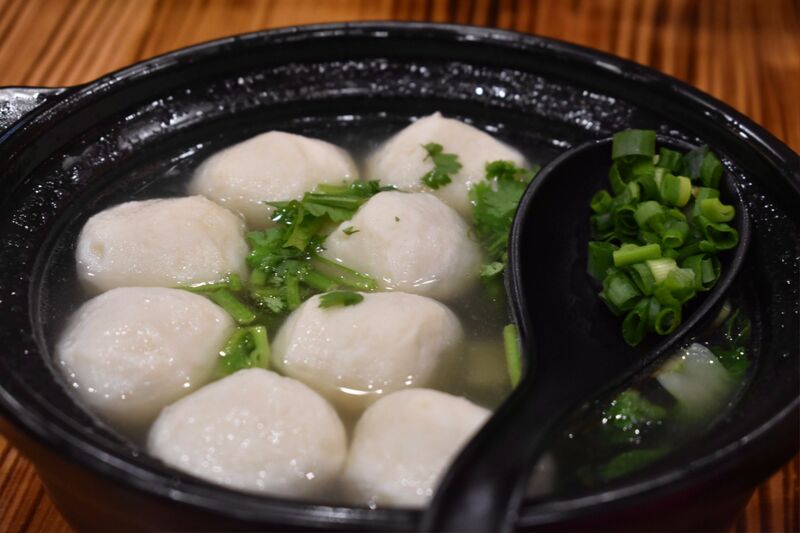 What’s great about their fishballs is that there’s meat as the filling. It’s more delicious this way. These are all the photos I took. There are other interesting side dishes like Taiwanese sausage, fried tauke and so on but we didn’t order them. Should have been a great addition to their noodle soup. As someone who doesn’t like to take soupy stuff, it’s pretty decent. The popularity of this chain only shows that the food is good. I hope you guys enjoyed this post on GO Noodle House!